To round this article off, there will be a range of recommendations for getting starting and managing your anxiety. This article should give you an insightful look into the world of anxiety, whether you are looking for a friend or relative or yourself to help take back control. In March of 2018, the APA, the American Psychological Association released a public opinion poll outlining a range of questions to help capture US thoughts on suffering anxiety (covering 1,000 US adults). From that research, 39% of people stated that they feel “more anxious” than at the same time, the previous year, with a further 39% suggesting their anxiety hasn’t changed in the last year. Anxiety is a recent term given to a mental health disorder that many people have been suffering for thousands of years. Anxiety is more present in today’s society thanks to the research and studies undertaken to fully understand the disorder. Due to this, thankfully, there are anxiety remedies that are constantly evolving and on the rise. Sadly, anxiety is still on the rise. But what is anxiety?! And how does affect our lives? Let’s begin with the definition of anxiety. The National Health Service (UK) suggests that anxiety is “Anxiety is a feeling of unease, such as worry or fear, that can be mild or severe”. Their recommendations continue to explain that anxiety can be medically evaluated and even separated into a range of conditions. Anxiety comes in many shapes and sizes but doesn’t discriminate. Anxiety has many different facets, many people refer to the core anxiety disorder as “generalised anxiety disorder” or GAD that is a longer-term disorder than short-term anxiety. The difference between longer-term anxiety and short-term is that the conditions are expanded across “a wider range of situations and issues” as opposed to just one specific event. Anxiety isn’t uncommon in everyday activities. We all suffer from some form of anxiety, anxiety that stems from work challenges, family disputes, arguments with friends, and even small things about everyday life, like traffic, people, our health and many more elements. A small amount of stress is healthy in our routine, it helps us grow and learn about the world around us. For example, a work-based problem, that takes longer to solve could cause short-term stress, but, depending on the workload, can help you to work towards a goal or deadline. Continuous pressure and stress in one or more areas of your life can cause anxiety. Anxiety is when you have several elements of your life causing strain on your mind and body. Suffering from anxiety isn’t something you’d wish upon your worst enemy. Many people share their stories online and even on platforms like YouTube about how anxiety hinders people’s everyday life. Let’s take a YouTuber, Joey Kidney, popular for his videos on lifestyle. For one week he filmed his anxiety attacks to document exactly how he felt around the topic. His symptoms included: stressed, overwhelmed in social situations, and pacing. Other people have tried to capture how anxiety feels in video-format to help people relate (see video below). 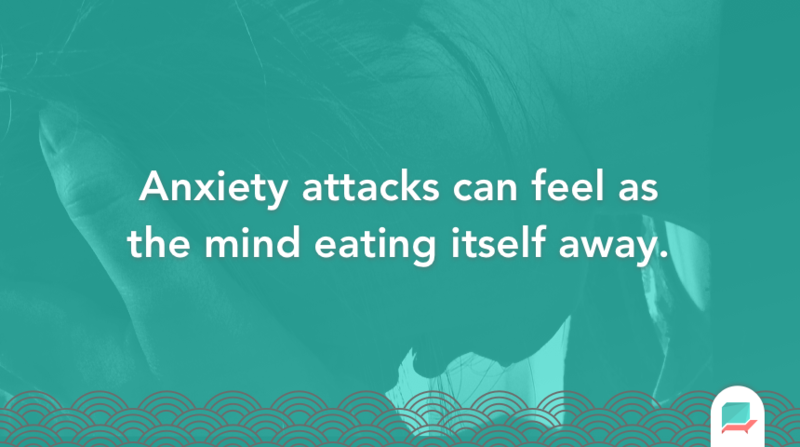 The pressures of anxiety can strike at any time and eat away at you inside your head. Many people refer to anxiety attacks as “the mind eating away at itself” and over-thinking the various elements of their life. Anxiety can even develop physical symptoms like waves of nausea. It’s important to document your symptoms when going through an anxious period. Speaking to your doctor about this will be much harder than a typical condition thanks to the nature of the internal changes your body and mind go through. Due to the increased rate of cases of anxiety, there are many more well-known recommendations for sufferers. With acute and severe forms of anxiety, there’s something manageable for everyone to try out when aiming to manage their anxiety. Everyone suffering from anxiety will have a different approach and before aiming to try all of these, remember, that anxiety is a unique experience for everyone. Not all of these recommendations will work for you, however, prescribing yourself a range of these will help to create positive, healthy habits to help reduce symptoms, managing anxiety and gain back control in your everyday activities. Getting a Healthy 7 – 9 hours of Sleep – Recent sleep studies have all indicated that sleep can be one of the best ways for your mind and body to recover. Recovery is one of the many ways for your mind to take a well-earned break from the day. Sleep can be hard for many, with anxiety on the mind, the pressures of getting to sleep can catch-up on us. The National Sleep Foundation recommends that adults sleep between 7 – 9 hours a night for optimum recovery. In order to get this recommended amount, try the many sleep remedies out there, speak to others about what has helped them induce sleep and read around the topic for the best results. 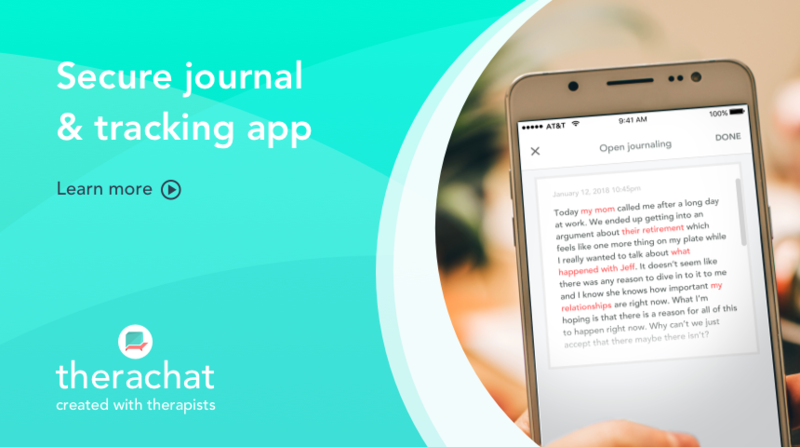 Try 5-10 minutes of Journal Therapy – The research on journal therapy is stacking up too and how journal therapy can help support the mind by reflecting on your anxiety. 5-10 minutes every single morning or at the end of the day will help to produce the best results as you review your day. For newbies, we’ve put together a host of recommendations here. For those who travel with their mobile phones, try out Therachat’s journal app for logging new entries as you go across your day. Playing Your Favourite Music – Research has indicated that music has helped many to tackle their anxiety, reduce blood pressure and help decrease your heart rate. The various melodies help our mind to relax and chill out. Getting some time to play your favorite music, whether that’s on the route to work, or on the go. Great for exercises too, another anxiety supporter. Try a 10-minute Meditation – Meditation is on the rise and for good reason. Lots of people are adding it to their daily routine as a way to calm their nerves, reduce stress and curb their anxiety. A short meditation in the morning, before the day starts or even at the end of the day when you get home from work, can help to pause and respect the time in front of you, reducing anxiety and producing the best results. (We listed the best mindfulness & meditation apps here). Speaking to your Friends & Family – Making time to speak with the people around you can be equally effective. Talk therapy studies have shown that the opportunity to speak with the ones you love can help calm nerves and reduce a sense of anxiety around the topic. Those who listen, can make recommendations and offer insight into how you manage your anxiety. They may even have been sufferers themselves. Go for a 20-minute Run – A run or a walk, whatever your sport is, try getting some exercise. Various studies have proven that the act of exercising for a short period of time in the day reduces stress levels and promotes good blood flow, helping to keep your brain and body fresh. Building this into your routine can have a profound impact on your perspective and help you to tackle anxiety. Learning Something New – Many people credit learning a new thing to help distract them from the feelings of their anxiety. The introduction of new insights into a new area helps to activate your brain and produce positive endorphins. So, whether it’s a day out to a museum or reading a Wikipedia page about something that interests you, or even taking an online course to learn something new, the act of absorbing new information will help make you feel more confident. There are countless resources out there too. We recommend you check out this list of apps you can try out for managing anxiety. A final note, Olivia Remes is one of the leading experts on anxiety and one of her TEDx talks helps to encapsulate anxiety as a whole. She speaks about how it feels to suffer from anxiety and how you can try managing anxiety. Her talk has received millions of views and continues to be an insightful resource for anxiety sufferers.